It is hard to believe that the original Guacamelee! came out five years ago. The amazing 2D platformer that took inspiration from things as wide-ranging as Mexican culture and the Metroid series is still one of the best finest games in the past decade. Thankfully, Guacamelee! 2 is more of the same tight platforming greatness, and is well worth checking out. Related reading: Our review of the original Guacamelee! The game begins at the very end of the first Guacamelee!, with Juan defeating Calaca (complete with a humorous trophy unlock describing how much easier it was this time around) and is now ready to settle down with the love of his life, El Presidente’s daughter. After this first introduction sequence, the game fast-forwards to seven years in the future. Juan is no longer the peak of physical fitness he was. Like most of us once we have kids, he now has children and a large pot belly. He can still throw a mean punch, but any of his athleticism has been stripped of him. On a routine trip to the shops, he is kidnapped and taken to the “Darkest Timeline”, and so it is up to Juan to save all of the entire space-time continuum by travelling through different dimensions. Guacamelee! 2 follows the same set of inspirations from its predecessor and again looks at them through a satirical lens filled to the brim with Mexican-based puns. Instead of the Metroid series’ “Chozo Statues”, Guacamelee! has “Chorizo Statues”, for instance. 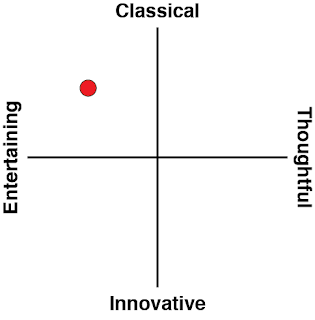 And there's plenty of respect for the video game industry itself through other references. When Juan is travelling through various dimensions looking for the Darkest Timeline, he comes across a dimension that’s described as being "too dark", and upon closer inspection it becomes clear that Juan is momentarily trapped in another critically acclaimed Indie Game, LIMBO, complete with that game's iconic spider! 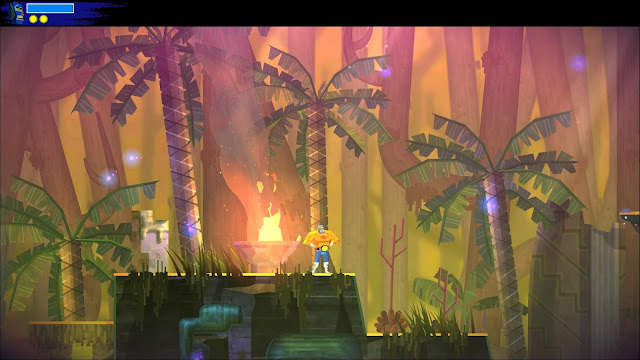 So much like your standard 2D Metroid-like, Guacamelee! 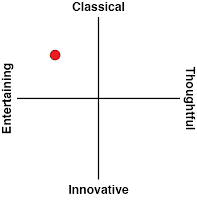 2 follows the pattern of give players a maze-like world to explore. As Juan finds the aforementioned Chorizo Statues that give him new abilities, he can then use those abilities to access previously out of reach treasure and exits to new areas. The moves that Juan learns are inspired by Mexican culture as well, such as the Rooster Uppercut that allows him to reach higher places and destroy enemy shields, as well as Eagle Flight, which allows Juan to effectively slingshot from Eagle Statues laid in the walls around the game. The upgrades are not quite as varied we might see in Metroid itself, but they all fit within the Mexican aesthetic the game is going for. There are some seriously devilish moments that require Juan to leap between dimensions multiple times in mid-jump to make it to a new area, these require precise platforming ability, but even at its most punishing, Guacamelee! 2 never feels cheap or unfair. Speaking of the aesthetic, it is clear that the developers at DrinkBox Studios have a passion for Mexican theatre. Everywhere you explore features the bright colours inspired by Mexican Festivals and fiestas such as Dia de Muertos, and the references to Mexican freestyle wrestling known as Lucha Libre. The importance of Juan’s Lucha mask is the very epitome of importance that the masks hold in Lucha Libre. every moment of the game is crammed with something inspired by deep Mexican culture. This has helped Guacamelee! stand out from other games in the genre, and the team at DrinkBox has done a good job doubling down in the sequel. Combat in the game is melee based, which should be obvious considering the game’s namesake. 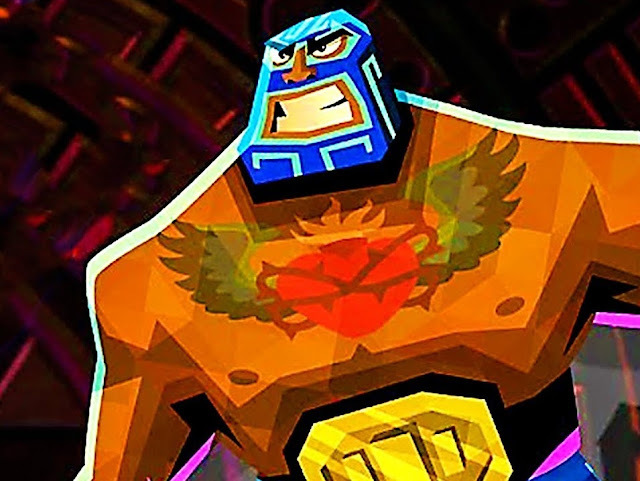 There are combos, both land and air, pro-wrestling suplexes inspired by Guacamelee!’s Lucha Libre roots and the moves Juan finds around the levels make up a lot of the combat in the game. In some instances, enemies can be suplexed after suffering a couple of combos. They can be suplexed into other enemies to clear some space between Juan and his foes. 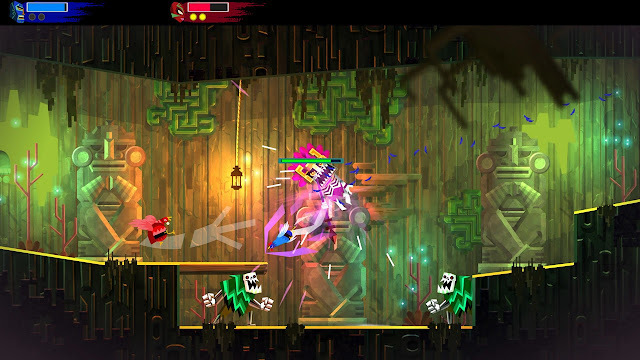 The Rooster Uppercut can be used to destroy shields around some enemies, though this leaves Juan momentarily open to attack, requiring the player to plan out their attack before going in willy nilly. When things begin to get hairy, the right stick can be used to dodge attacks as well, and in some instances is required to get behind enemies with fast attacks. There is a constant stream of new enemies to face and many of them require a completely new strategy, keeping Juan on his toes the whole time. As much as there is to see and do in Guacamelee! 2, the game clocks in at a perfect nine to ten hours to finish. It’s slightly longer than the original, but still short enough that we just know there are going to be inevitable complaints that the game doesn't have enough content. For people who really do have to eke every moment out of a purchase, in order to get a 100 per cent completion, it will take an additional couple of hours, but aside from a trophy or two there is no real incentive to do so. Guacamelee! 2 takes everything from the original game and makes it even more enjoyable. By drawing inspirations from Mexican culture respectfully, the development team have created a tight platformer that includes some very clever writing and satirical looks at other games in the genre, and it is quite possibly one of the best platformers of 2018.